angel academe | Turner, Hopkins. Last week we launched this year’s Entrepreneur Academe to a full house at the City of London’s City Centre suite. This is the third instalment of EA, and once again we’re delighted to have the City of London as our partners. We’re mentoring 10 women-led tech startups this year and the calibre is clearly very high. Wednesday was the opportunity for the businesses to introduce themselves to our network of mentors, investors and partners and lay out what they’re looking to get out of the next 9 months with EA. David Pack, Partnerships Manager at the City of London kicked off the afternoon with a brief talk outlining why they support the programme and how important this kind of collaboration is to them. He was followed by our own Sarah Turner, who talked about what had been achieved by the programme to this point, in terms of growth and funds raised. Headlines for last year’s cohort include an average 100% in turnover with 6 companies achieving a 200% increase, and £1.5m so far raised in investment. 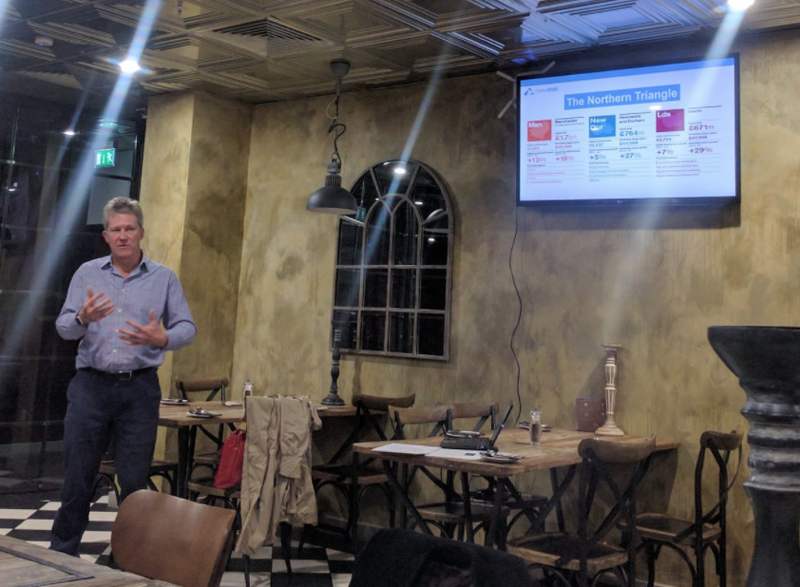 Raremark, a community platform for sufferers of rare disease and their families is one of those companies that raised, and took the opportunity on Wednesday to announce a successfully closed round of £680k. The company’s CEO and founder Julie Walters talked about her experience of the 2015 programme and told this year’s cohort how to get the most of the sessions and mentors. Anjali Ramanchandran, a great friend to Angel Academe has been one of our EA mentors since the get-go. She talked about how to ‘hook up’ with the mentors either in person or through LinkedIn, and what kinds of mentoring relationship they could look for, from a simple chat over a coffee through to a more sustained relationship – and all points in between. We then got down to the meat and potatoes of the afternoon, with each company giving us a 5 minute presentation, outlining the company’s history to this point, their ambitions over the coming year and their specific asks. Chime Advisors, co-founded by Angela Bradbury, is “reinventing the expert network” and provides answers to research questions on niche topics for consulting and PE firms through phone calls and surveys with experts via sophisticated tech. Coo, co-founded by Shilpa Bhandarkar, is a new kind of parenting platform whose first product is a group communication & calendar app that helps build parent communities. Grub Club, founded by Olivia Sibony, is a discovery platform for unique dining experiences. Chefs set up restaurants in underused spaces & sell tickets to their dinners via the website. Headliner, co-founded bye Maria Hayden, connects live musicians, bands and DJs directly with event planners to book for corporate events and private parties. MeeTwo, co-founded by Kerstyn Comley, is a webapp offering moderated peer support and expert advice to help teenagers deal with everyday anxieties. Metafused, founded by Madhuban Kumar, uses artificial intelligence with real time data to enhance marketing decision-making and driving automated proactive intelligence. Pilio, founded by Catherine Bottrill, provides energy analytics to businesses and households seeking to make energy and cost savings. Pivigo, co-founded by Kim Nilsson is building the trusted marketplace for data science projects, disrupting the data consultancy market, and democratising data science. Mush, founded by Katie Massie-Taylor and Sarah Hesz, is a web-based platform that connects mums with other mums in their locality, and was described on Wednesday, only half tongue-in-cheek, as “Tinder-meets-NCT”. We’re hugely excited about working with this year’s cohort, and look forward to to first of this year’s expert sessions – SCALE (getting the basics right to grow). Join us as a mentor? Our mentors include experienced entrepreneurs, angel and institutional investors and business leaders from the Angel Academe community and partner organisations. As well as extensive experience of starting, running and growing businesses, they bring specific expertise in finance and fund-raising; sales, marketing and PR; technology; law, accountancy and people management. We provide them with an opportunity to get to know some exciting women-led businesses over a period of time. If you would like to join our amazing pool of mentors, we would love to hear from you. Please tell us a little about yourself. Sign up for our Entrepreneur Academe Newsletter. Thank you all for coming along on Tuesday night and making the event such a success. Particular thanks to our speakers: Bob Schukai from Thomson Reuters, Hannah O’Shaunessey and Kerri Mckechnie from Angel Academe, Sarah Tierney from We Are Colony and Louise Wilson from Abundance. I’m sure we’ll be hearing a lot more from all of them in future. 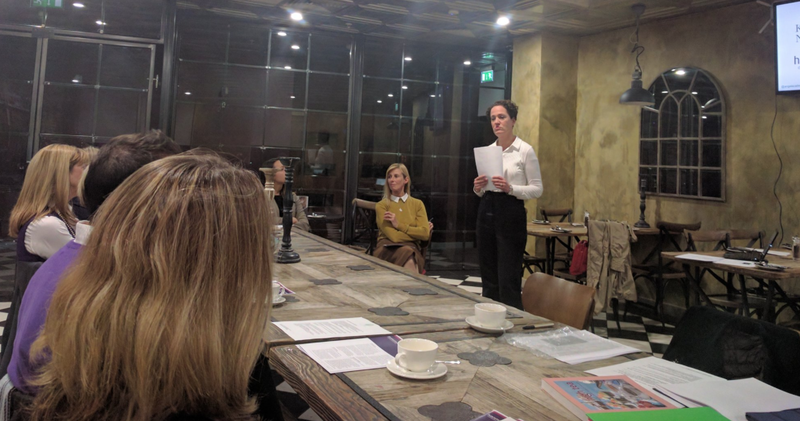 Kerri talked about Entrepreneur Academe, the 12-month mentoring programme for ambitious women entrepreneurs that we’re running in partnership with the City of London. The programme kicked off last month and you can read about it and our winning entrepreneurs here. We have an amazing ling-up of mentors and experts but are always looking to add more. If you’d like to get involved, please tell us a little about yourself here. Finally, if you’d like to find out more about angel investing opportunities, please drop us a line and if you’d like to be considered for a pitching slot at one of our events, please send an investor summary or pitch deck for us to review. So my dream of becoming the next Deborah Meaden remained just that – a dream – until a chance meeting with Sarah Turner. Sarah set up Angel Academe in 2012 to be an angel investing group, with a difference. It’s not easy to tie down the statistics on angel investing as a lot of it happens informally but the best statistics that we have (from the UK Business Angels Association) show that just 5% of angel investors are female. I’ve written before on the lack of women in technology roles. There are many many articles that talk about the small number of women in top positions in large corporates. The modestly targeted 30% club is still a long way from its goal to get just 30% of board positions filled with females. Yet compared with the number of women acting as angel investors, these areas are awash with women. It’s not easy to tie down the statistics on angel investing as a lot of it happens informally – a chap knows a chap and lends him a couple of hundred thousand. However what statistics exist show a dearth of women. The UK Business Angels Association do an annual survey of their members and have found that a mere 5% of angel investors are female.